Osteoarthritis affects more than two million Australians and that number is on the rise. A chronic and painful condition, it’s no surprise there are many different treatments on the market as more people seek relief from symptoms of osteoarthritis. Read on for expert advice on what actually works. Osteoarthritis is the most common form of chronic arthritis, causing persistent joint pain, stiffness and swelling. It mainly affects the hands, knees and hips, often restricting movement and making normal daily activities more difficult. While people over 55 are more likely to be affected, it’s not just a condition of aging. It can affect younger people as well, with other risk factors including being overweight or obese, joint injury, overuse from occupations or activities with repetitive movements, or a family history of the condition. While there’s no cure, treatment and lifestyle changes can often help with its symptoms and reduce discomfort. But with drug-based medicines and an endless list of supplements and alternative remedies available, it can be hard to know where to start. Subscribe to Live Better and receive our stretching guide FREE! As well as exercise tips and inspiration, offers and promotions, straight to your inbox each week. 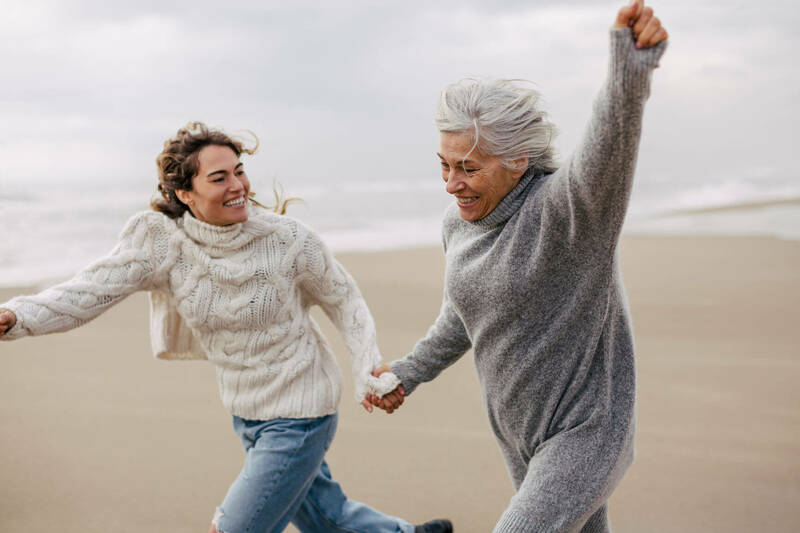 Recently the Royal Australian College of General Practitioners (RACGP) did an extensive study of the scientific evidence around a wide range of therapies for osteoarthritis. And in partnership with the Medibank Better Health Foundation, the RACGP announced new guidelines for GPs, placing a major emphasis on non-surgical, non-drug treatment options. For those living with osteoarthritis, the study found the best way to manage the condition is to get regular exercise and maintain a healthy weight. Let’s take a closer look at the facts. Health fact: Consistent and frequent exercise can improve pain and joint function for people with osteoarthritis. Healthy habit: Try low-impact options like walking, muscle-strengthening exercises, water aerobics and Tai Chi, which is also great for improving balance. Get into a regular routine and try get your friends and family involved. Walks are an excellent way of combining exercise with a social catch up. Health fact: Excess weight, especially obesity, is a major risk factor for osteoarthritis.Getting to a healthy BMI - and maintaining it - is strongly recommended if you have osteoarthritis. Healthy habit: Along with regular exercise, eating a wide range of healthy foods can help you feel better and lose weight. Aim for a balanced and varied diet full of fresh food, especially fruit and vegetables. The Mediterranean-style diet, which includes fish, poultry and some dairy and is low in red meat, processed meats and sugar, has shown links to decreased pain, disability and depressive symptoms in people with osteoarthritis. Consider trying a mediterranean diet and see if it works for you. Health fact: Experts strongly recommend against the use of opioid-based medications and a range of other drug-based treatments for people with osteoarthritis. Healthy habit: Discuss your pain relief options with your GP. Some non-steroid, anti-inflammatory medications (eg ibuprofen tablets) and corticosteroid injections can provide short-term symptom relief, but longer term use is not recommended. Health fact: While osteoarthritis supplements are very common, there’s very little evidence to suggest that glucosamine, chondroitin or vitamin D - three widely marketed therapies - are beneficial to people with osteoarthritis. The RACGP study also failed to find any convincing evidence supporting the use of acupuncture or herbal tablets and oils. Healthy habit: Explore different forms of massage and manual therapy, like physiotherapy or osteopathy, as part of your plan to manage osteoarthritis. And if it helps with your symptoms, your health cover may come in handy. If you’re affected by osteoarthritis, you can reduce its impact on your life, especially with diet and exercise. The best place to start is with your GP. Understand what’s going on with your body, and how you can help yourself. Start with a plan, set realistic goals for weight loss and exercise, and don’t be afraid to ask for help. Once you have a plan in place, you can make the right choices to give your body the best chance to thrive. For more information on how to cope with osteoarthritis, visit Medibank’s osteoarthritis health guide here.